About five years ago, friend gave me a birthday card depicting a cat comically endangering his little life. On the inside it read “Do Something That Scares You Everyday.” We all chuckled when I opened it, but I didn’t take it to heart. I wasn’t about to dance with death every day. 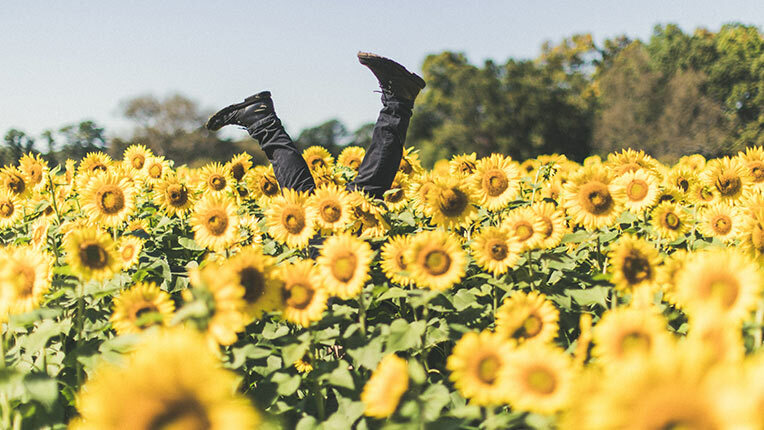 My yoga teacher, Andre Houle, says “Get comfortable with the uncomfortable,” and makes us flow in a way that we aren’t used to and try new poses. We do things that feel completely wrong, because we are so used to going in the opposite direction… or so used to knowing what comes next. I personally gag a little at the box metaphor, but it is a simple one, and we have all heard it. We can all picture a cuddly, comfortable, familiar box. The yoga metaphor is similar. You have to do new things that don’t feel comfortable, but those are exactly the moves that will let you do a new pose… perhaps one you never thought you could do. If you want to be someone new, you have to find a way to get outside the walls of your current box: push and bust that sh*t open! The power to push comes from newness — that scary, challenging, productively discomforting, new thing. When we were 2, we thought we knew it all. Same at 15. Same at 23. But did we? And remember flip phones? I had a red one that was so cool! Best OS. Best apps. And what happens? There was a v1, then there’s a v2, a v3…. My mom used to save me clothes that I would grow into. There’s a “box” for me to grow into too. I picture it like a round hat box, this way I can think of it like the rings within a tree. Grow baby, grow! How could 2 year old me fathom 48 year old me? She could not. She wanted her middle name to be Snoopy. (And now, instead of taking the middle name of a dog, I took the last name of a dog.) If you want to grow, look at your BE WHAT’s (for starters). Also, the wonderful Carrie Grace was recently interviewed on the Redesigning Wellness podcast. She mentioned that she was doing a 30-day rejection challenge and the example she gave was to have a hula hoop contest with someone in Target. Carrie’s mission is to spread love and kindness, so I won’t be surprised if I see that her other rejection challenges for herself involve elating others. 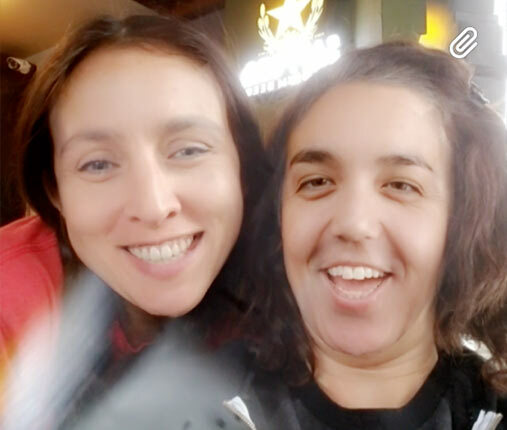 Face Swap with a Stranger! Alas, the cat was a misrepresentation… Rather, the near death experience was a misrepresentation. The “scary” things can involve asking for a crazily-designed donut, a hula hoop contest, and a face swap. Productive discomfort is the key phrase kids! “So what exactly should I do?” If you have a clear goal, say growing your business, there may be some things on the ‘ol to-do list that you have been avoiding because they are scary. A lot of time the things we procrastinate are the scary ones. So try those. And then reward yourself. The whole exercise is to put yourself out there. The resulting YES’s or NO’s are not the point of the exercise. You should also pay attention to that little voice that has an exciting idea — if you are scared by it, do it anyway. If you watched Jia Jiang’s video, you saw that sometimes the NO is followed by a conversation that gives helpful, elucidating information. And what if you don’t have a clear goal in mind? I personally like Carrie’s take on this — rooting the challenges you craft for yourself from a place of spreading love and kindness. She speaks of “being someone’s kitchen-table story.” And then, the most genius advice I heard recently was to ask “What can I do better?” when you get a YES. Listen to Saul Blinkoff on Cathy Heller’s Don’t Keep Your Day Job podcast. Do something ballsy everyday… the daring and good kind of ballsy.